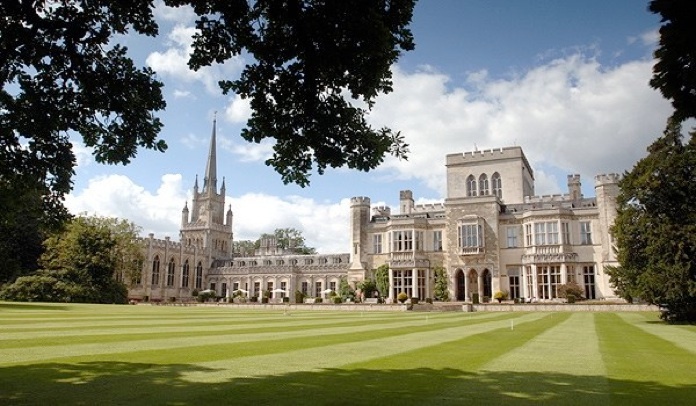 Ashridge Business School – booked me to come and talk to their MsC students, who are taking a 2 year masters in ‘sustainability’ and ‘responsibility’. The programme was aimed at people already working in business and corporations, including consultants, activists, public sector managers and NGO professionals, which means there was a pretty mixed bunch. My talk was about my personal sustainability experience, but it soon opened into a more interactive session with lots of questions from all the other participants. I was lucky enough to have time to find out a bit about the students taking the post-graduate course. They came from very diverse backgrounds – some having worked for many years in business and others at an earlier stage. One African student had to participate by Skype because he’d mislaid his passport. What a stunning place – a magnificent building with beautiful gardens. This entry was posted in Business, Home Page, News 2012, Speeches & Events and tagged Business, Communications.